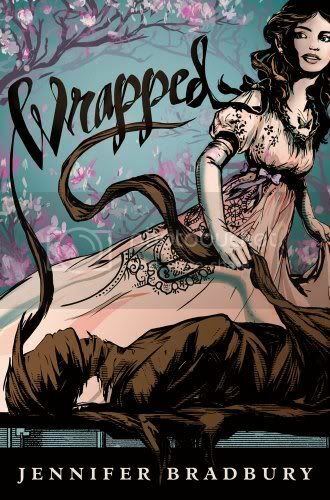 I really enjoyed reading Wrapped. It was definitely not what I expected, after reading the summary. But I was pleasantly surprised that the book was really good. There was a lot of Egyptology involved, and I found it to be quite fascinating. There is a lot of stuff I didn’t know about Napoleon. I love the main character, Agnes. Although she wants to do what’s right by her family, be the perfect wife and marry well, she also longs for a life of adventure. She’s smart and funny, and she loves ‘A Lady’, (Jane Austen). Of course, she falls for the underdog, Caedmon, who she knows that she cannot be with. Caedmon is smart and handsome, and is trying to pull himself out of poverty by working in the museum. I really liked him. I kept picturing him as James McAvoy, it was a wonderful picture! The book was a bit predictable, I had most of it figured out pretty early on. That didn’t stop me from enjoying it though. The storyline was very interesting, and very well written. The book has a lot of history in it, as well as some action and a bit of romance. The ending was pretty much left wide open, so I’m wondering if maybe this will be a series? One can hope. Thank you to Simon & Schuster for allowing me to read this via the Galley Grab! I am really glad to hear that you enjoyed this one. I just recently got it and I am always a bit skeptical, but it's nice to see good reviews! This sounds good. Thanks for the review! I like books with a bit of history so maybe this is one I'd enjoy. I have this in my S&S Galley Grab too but I don't think I have enough time to read it though. It's a little sad that this was predictable. I can totally picture James McAvoy as Caedom! I thought it was very predictable too, though that did affect my enjoyment. I'm glad you liked it! Even when a book is predictable, I still have to finish it so I can see if I was right. We really need some answers!! I need to go back and read the other series. I think they are suppose to combine eventually. I passed this a couple of times but once I see the word Egypt(ology) I'm hooked. Up until last year I was dead set on continuing with my MA to become an Egyptologist so that's my biggest love FDSFDSJK. Oh, I've heard such lovely things about this little book and can't wait to read it. Yay for another awesome summer read to add to my TBR pile! Thanks for the great review! I love the cover of this and I've heard great things about it! I'm happy you liked it!! I picked up this book from Galley Grab, but then never had the opportunity to read it. Darn! Sounds like it was pretty good. However, it may have just a little too much historical stuff in it for me to totally enjoy it, though. Thanks for the informative review. I'm glad you liked this. I've heard a lot of mixed reviews about it. I like the idea of Egyptology in a book. I'm curious.